Rice wine vinegar --- 4 tsp. Soy sauce (low sodium) --- 1 Tbsp. Ground ginger --- 1/4 tsp. 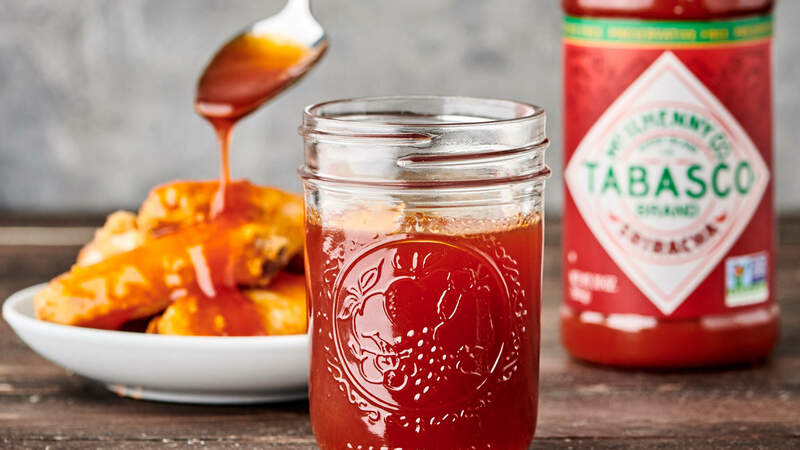 While the wings finish baking, combine all Asian Zing Wing Sauce ingredients and heat in sauce pan over low to medium heat for 10-15 minutes, or until reduced and thickened. Remove wings from oven, toss with Asian Zing Wing Sauce and serve. While the wings cook, combine all Asian Zing Wing Sauce ingredients and heat in sauce pan over low to medium heat for 10-15 minutes, or until reduced and thickened. Remove from fryer, toss with Asian Zing Wing Sauce and serve.